Bloomfield Pediatric Care firmly believes that vaccines prevent serious illness and save lives. Medical science has repeatedly shown that vaccines do not cause autism and other developmental disabilities. We believe that vaccines are safer than ever. Therefore, it is our policy that all children receive vaccines according to the yearly schedule published by the American Academy of Pediatrics (AAP) and the Center for Disease Control (CDC). Please be advised that delaying vaccines or changing the recommended schedule is against the medical advice of Bloomfield Pediatric Care, the AAP and the CDC. An immunization waiver must be signed by a parent or guardian if recommendations are not followed. The pediatricians at Bloomfield Pediatric Care want to provide the best protection for your children, our other patients, as well as our staff and providers from preventable illnesses. We have made the decision to only accept new families into our practice who plan to FULLY immunize their children according to the Center for Disease Control and the American Academy of Pediatrics. 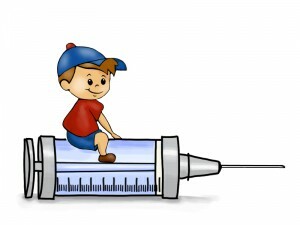 If your child is behind on the recommended immunizations the office may contact you or we ask that you discuss this with your child’s provider at their next visit. A patient that is not in accordance with the CDC recommended vaccine schedule, and needs to come in to catch-up on immunizations, will be scheduled as an office visit with a Doctor or NP, and responsible for a co-pay.